Store fronts and businesses at the Louisiana Boardwalk will turn pink on Friday, September 11, 2015 from 11 am to 6pm. The Northwest Louisiana Affiliate of Susan G. Komen is holding its annual fundraising event called Friday in Pink to fight breast cancer and raise crucial funding that saves lives. 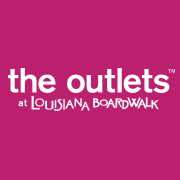 The organization will join with The Louisiana Boardwalk, Cumulus Radio, KTBS and other area businesses for a day full of fundraising, shopping, food and, of course, all things PINK! The goal is to raise $50-thousand dollars to help fund breast cancer research and breast cancer prevention and support services in the ten parish service area that the Northwest Louisiana Affiliate covers. Participants can also register for the 21st annual Northwest Louisiana Race for Cure to be held September 26 at Shreve City. “We like to hold Friday in Pink before the Race to kick off our fundraising season leading up to our Race. It’s easy and fun to come up and drop off a donation. This year we have discount shopping passes available for a donation to make the day at The Louisiana Boardwalk even more fun!” added Dean. Local organizations who receive Komen funding will also be on hand providing free clinical breast exams and information regarding mammograms for women who don’t have health insurance. Survivors, Co-survivors, and caregivers will be guests of honor and will share their personal experiences in the journey of breast cancer. Please join us there, and help us save lives in our community!